Veteran agent, Lynette Gaustad, has joined the Ryan Hanson Homes Team! 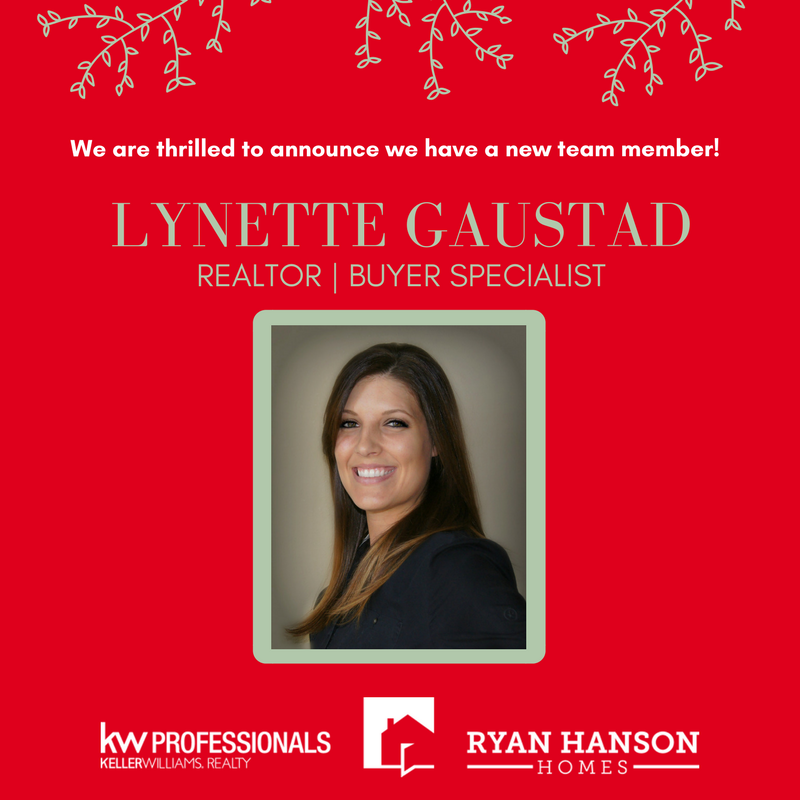 Lynette Gaustad, a veteran rockstar agent at Keller Williams, has joined our Ryan Hanson Homes Team! We are thrilled to have her join us and look forward to growing together personally professionally, giving our clients the opportunity to work with this talented professional. She is looking forward to building relationships with our amazing team, utilizing our coaching, working together with our specialized RHH professionals in the real estate process to achieve better results for her clients, gain high level tools, systems, and resources, expand her networks and continually be held accountable and challenged by us to g..r..o..w and achieve her goals. Lynette says her focus is “to build strong rapport and lasting relationships, becoming the Realtor of choice for your family and friends, making your real estate experience enjoyable! I would love to help you find your perfect home.” Please help us congratulate her on her career move! Welcome to the RHH family!